I’m really liking the look of this new TAKTIK project on Kickstarter. 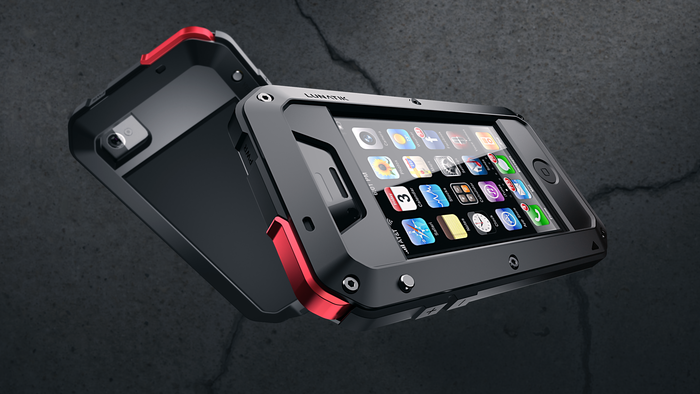 It’s a ruggedized iPhone case from the makers of the TIKTOK and LUNATIK iPod nano watches and it’s gorgeous. The system consists of a shell that bolts together, with a screen cover that can be upgraded to Corning Gorilla Glass for that ‘touching the actual screen’ feeling that you miss so much with these kinds of cases. I’m a big fan of the Ballistic cases for iPhone, which have consistently worked very well for me. But the looks of these kinds of ruggedized cases normally leaves a lot to be desired. Some of the things that jumped out for me were the sweet pin that flips your mute switch inside the casing, eliminating one more odd toggle with a rubber cap or hole that you have to stick your finger into. Other nice touches include caps for the headphone jack and dock connector cable that don’t look flimsy and hard to use. There’s also a mix and match option for the color-hungry and a bike mount that the TAKTIK clips into. MINIMAL says that they’ve done extensive testing on the antenna as well, and that the metal case does nothing to dampen reception.. 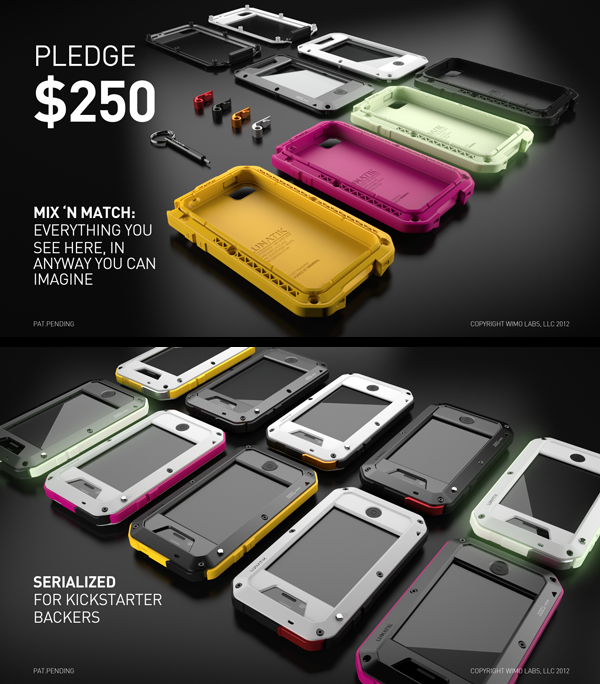 The case is running $75 during the Kickstarter project in Black or a stunning white style. For $100 you can get the Gorilla Glass upgrade and for $150 there’s an anodized option. For $250 MINIMAL says they’ll give you an iPhone 4/4S case now and supply you with an iPhone ‘5’ compatible version when the next one is released. Read next: This font displays gorgeous icons when you type in keywords like "twitter" and "alert"